The EOS-1D C camera is the first Canon hybrid DSLR to offer onboard 4K motion imaging and full HD motion imaging on CF cards. It comes with the compact EF mount lenses and facilitates 4K image origination in the tightest and most challenging environments. With onboard 4K recording at 24p or HD recording at a range of frame rates up to 60p, and Clean HD via HDMI, the EOS-1D C offers additional capabilities to filmmakers and TV production teams as well as specialty image acquisition applications. This camera features an 18.1-megapixel full frame CMOS sensor with a wide range of image acquisition options, including 4K (4096 x 2160), HD (1920 x 1080); or 18-megapixel (5184 x 3456) still images. The 4K is recorded as Motion JPEG; the HD is recorded as H.264; and the still images are recorded as RAW or JPEG. It is essentially the same camera as the EOS-1D X minus the 4K video functions and a few other cinematic features. The 1D C has a more robust heat sink to allow for better cooling of the circuitry during video operations. The two cameras share many of the Firmware codes except on the 1D X, some features and functions are 'disabled'. 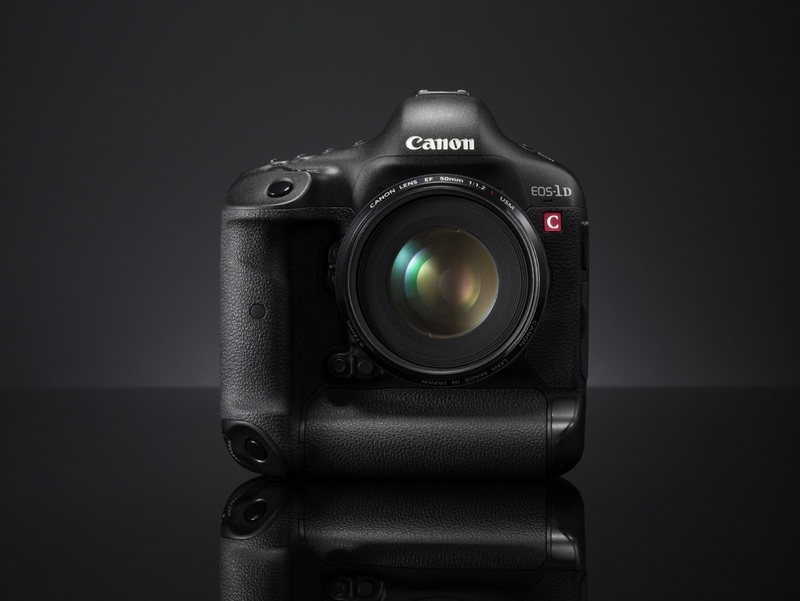 So why does the EOS-1D C lists for $11,999 and the EOS-1D X lists for $6,799? In one word, scarcity. Canon knows there will be limited demand for the EOS-1D C hybrid camera so they limit it to a smaller production run. The development costs of the specialized software codes for the EOS-1D C are spread out over a smaller number of cameras as well. Therefore, the list price is much higher than the EOS-1D X. For those who are interested, you can download the Instruction Manual and take a good look at the camera's features and functions.